Offered by us is a broad collection of Leno Bags, which can be availed by customers at pocket-friendly rates. 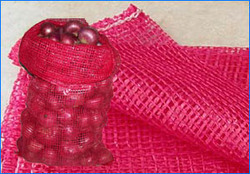 Mainly used for packaging vegetables and fruits, these bags are multi-purpose in nature. Available in various colors, sizes and shapes, our entire product-line is also available as per customers requirement. - Width : 12" to 28"
Offering you a complete choice of products which include HDPE Leno Bag, Plastic Leno Bag, Vegetables Leno Bag, Onion Leno Bag, PP Leno Bag and Leno Bag. 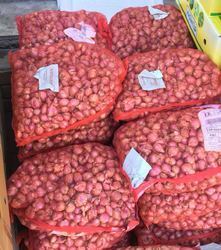 HDPE Leno Bag., Plastic Leno Bag., Vegetables Leno Bag., Onion Leno Bag., PP Leno Bag, Garlic Bag, Fruit Net Bag, Leno Bag Fabric. PP Leno bag is an ideal alternative to packaging of conventional materials & used for variety of applications. This kind of bag is used to pack agriculture & consumer products. These bags can accept loads upto 50Kg. This bag provides aeration to contents and keeps them fresh.